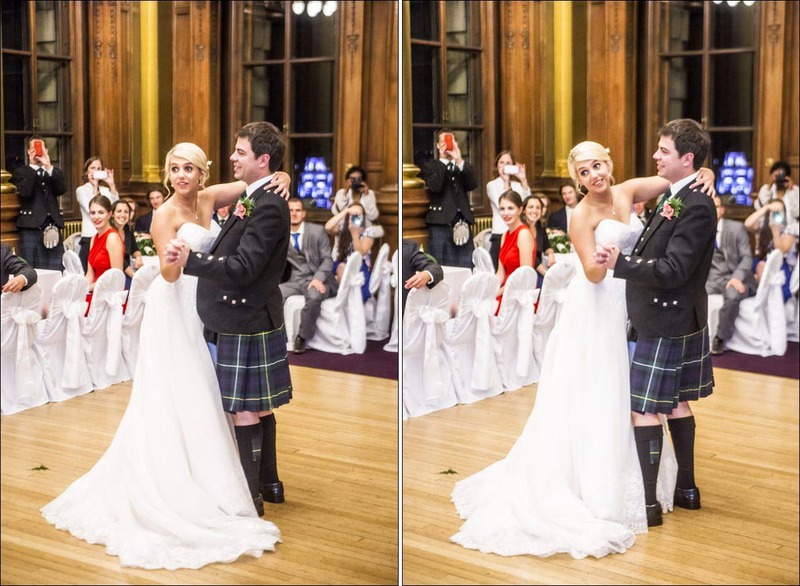 Recently I photographed this city chambers edinburgh wedding for Dominique and Cameron who flew all the way over from New Zealand to get married here. Dominique is Scottish while Cameron is from New Zealand but for some time now they have both lived in New Zealand so I guess it must be natural for her to want to get married here. I’ve photographed a couple wedding receptions at City Chambers before and it’s a pretty awesome venue. From the forecourt it looks desperately old, and it really is, then you have a very modern reception and the rest of the building looks very old fashioned. It is however absolutely beautiful on both the inside and outside and unlike most old venues in Edinburgh which can be a real pain in the backside to photograph light-wise City Chambers is an absolute joy to work in. It was a pretty big wedding with over 100 people and a handful of people that were there were my wife Liv’s old work colleagues who I vaguely know so they were good to see. Everyone on the day was really well behaved, we had really great weather and everything was timed perfectly. Nothing took too long and while some big weddings can drag on a little this really didn’t. My day was from start to finish. I started with preparation shots at Dominique’s parents house just 20 minutes away from the venue followed by lots of mingling shots, ceremony photos and some group shots afterwards. As always I wanted to take the couple away from the wedding party for couples photos so we headed over to St Giles and a couple other locations for photos and I think they turned out really great. So that’s it for this wedding. The whole day was great, everyone was really nice, the bride and groom looked great and were really great to work with, we had good weather and everything flowed perfectly. 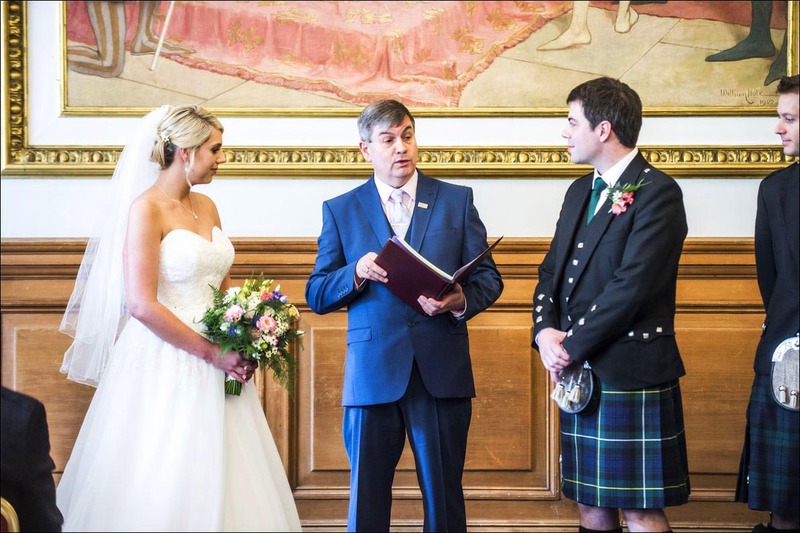 Can’t wait to photograph another wedding at City Chambers. So that’s it from this fantastic wedding. Dominique and Cameron were really easy to work with, the day was paced perfectly and the both the venue and location were really great. I’ve got tonnes of new weddings to share in the near future as well as some news things.